The company was established in 1985, and today, experience and work, as well as imagination and quality, combine together to produce a series of extremely eclectic collections, always choosing to be unconventional, rather than obvious and basic. 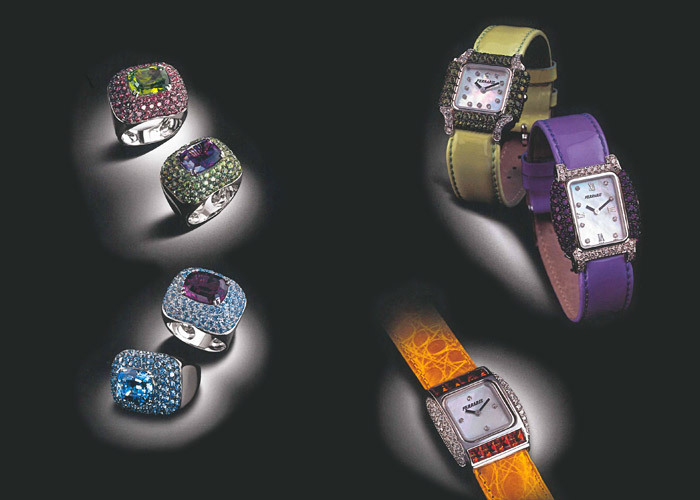 The love for originality has emerged since the early years, when Giovanni Ferraris specialised in the production of jewellery watches. Later, he turned his talents to jewellery and devoted himself to reasearching and experimenting, and to technical and formal innovation. Looking at the workbenches where he learned his job, and that he left to run his company, Giovanni Ferraris claims he is a genuine craftman working in his workshop, and making every single thing in-house. Being born in the land of jewellery has bolstered Giovanni Ferraris’s passion for the goldsmith’s art since a very early age. 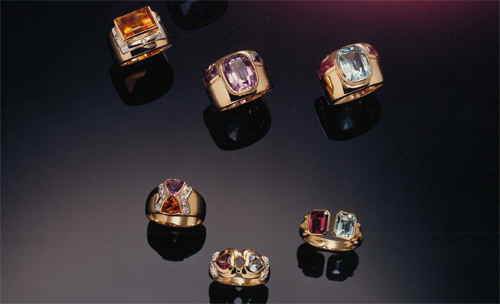 After working as an apprentice in a number of workshops, and obtaining his diploma in jewellery design, he established the company bearing his name at the age of 21. Since the beginning, Giovanni Ferraris has shown his very inventive taste, choosing coloured natural stones as essential elements to enhance his designs. In the early years, Giovanni Ferraris specialised in the production of jewellery watches, an activity requiring great technical competence. This terrific practice allowed him to improve his manual and technical skills. His abilities progressed and the name of Giovanni Ferraris gained prestige and reliability. These qualities were necessary to conquer new customers and satisfy special and customised requests for precious objects such as writing tools. Giovanni Ferraris’s creative spirit keeps being eclectic and imaginative. His wife Katia became the supervisor of designs, ranging from jewellery to timepieces, in different geometrical shapes and colours. Hard work, much travelling, countless meetings, and the participation in big international fairs and events led the brand Giovanni Ferraris to begin exporting, building and consolidating its reputation on the European markets as well as in the Middle and Far East, in Japan, Russia and Eastern Europe. 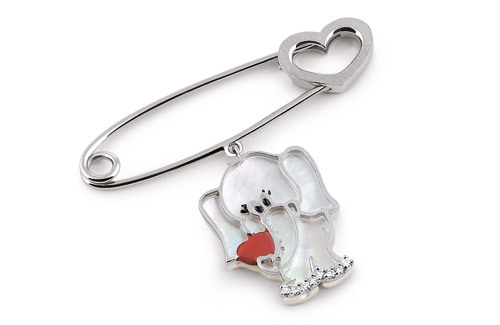 Katia Ferraris designed a gold and diamond safety pin for an Arab customer almost for fun. The idea of creating Minù, a brand dedicated to children’s jewellery, was born from that request. 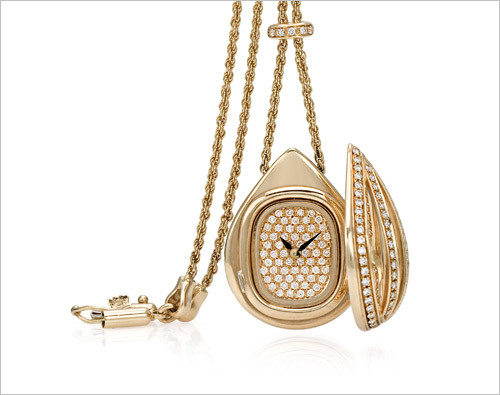 Later, Minù became Giovanni Ferraris’s more affordable line for younger customers, featuring 9-carat gold jewellery. 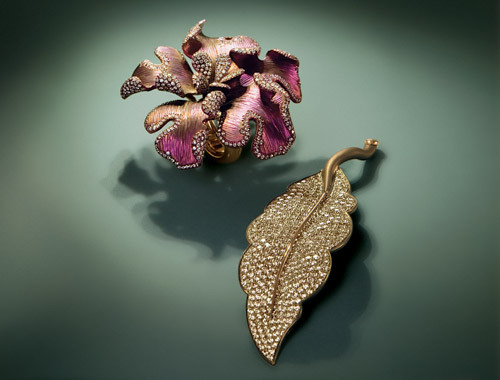 Giovanni Ferraris took part in Couture, the high jewellery fair in Las Vegas, for the first time. 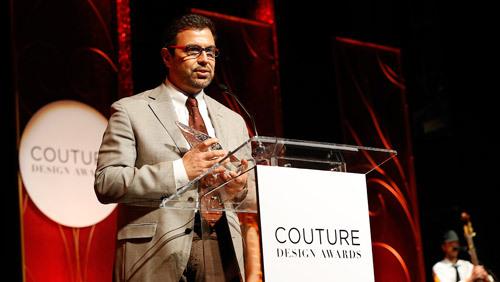 On that occasion he received the Couture Design Award in the Haute Couture category for a pair of titanium earrings with diamonds and sapphires designed by Katia. This award acknowledges the great technical and stylistical sophistication achieved by the brand. 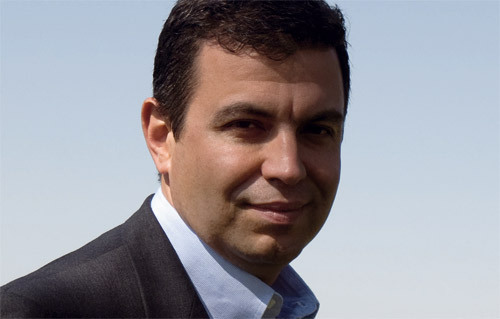 Giovanni Ferraris declared: “We have to be proud of being born and growing up in Italy, this wonderful and inimitable country. Our history, culture, and art are part of us, they influence the way we are and look at things, the way we perceive shapes, colours, and emotions. 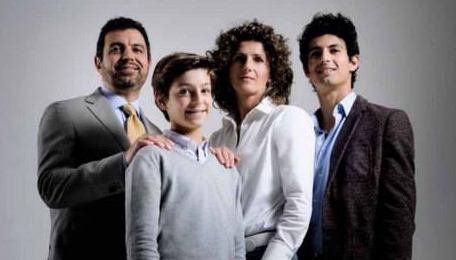 Likewise, our work is permeated with this atmospere, therefore each jewel we create in our workshop contains a concentrate of Italian spirit.” In the picture, Giovanni Ferraris with his wife Katia and their sons Valentino and Michelangelo. 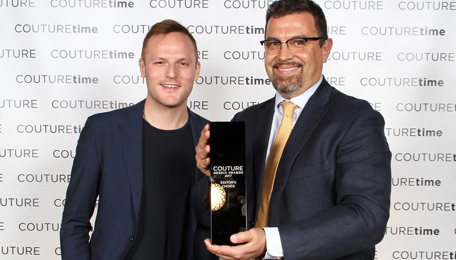 Giovanni Ferraris’s fourth time at Couture Las Vegas was a ‘wow’ experience. The amazing titanium, gold, and diamond ‘dancing’ earrings conquer the Couture Design Award for the category Editor’s Choice. An amazing recognition that declares once again our natural tendency to experiment with and search for new contemporary jewellery styles.